Join us every Sunday morning at 10:00 AM for our weekly worship service. 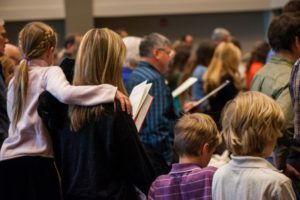 Our worship includes the reading of Holy Scripture, singing of psalms, hymns and traditional songs, the offering of prayer, the expository preaching of the Word, and the presentation of offerings. Every Sunday, we as a body confess our faith by corporately reciting the Nicene Creed and observing the Lord's Supper. We also administer the sacrament of baptism as appropriate. Join us every Sunday morning at 10:00 AM for our weekly worship service.